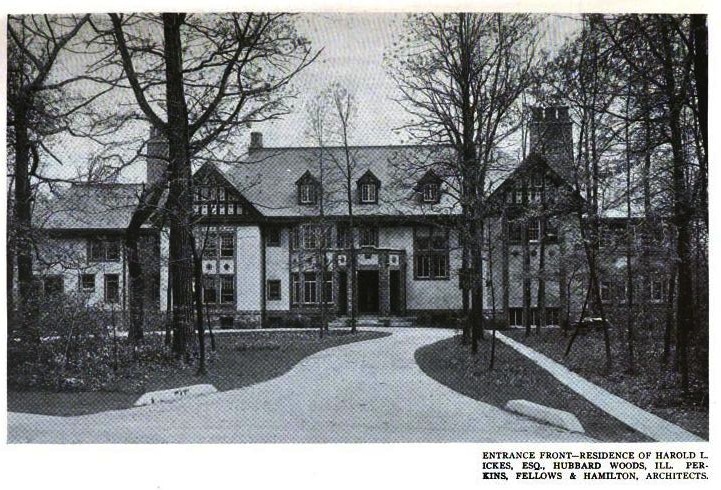 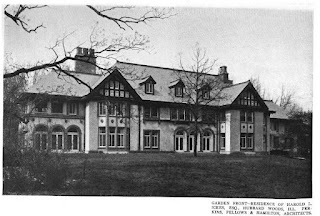 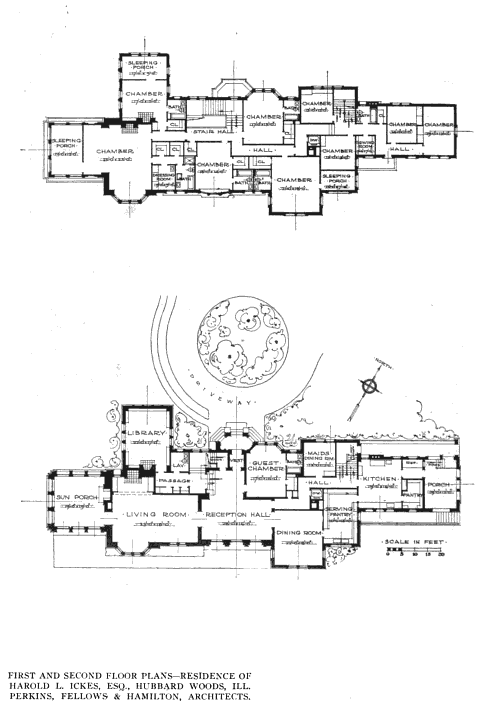 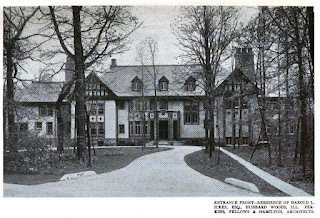 The Harold L. Ickes residence designed by Dwight Perkins of Perkins, Fellows & Hamilton c. 1918 in Winnetka, Illinois. 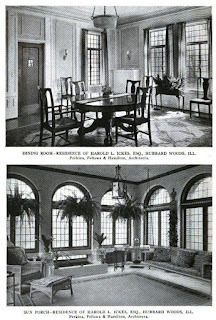 Ickes served as the United States Secretary of the Interior from 1933-1946. 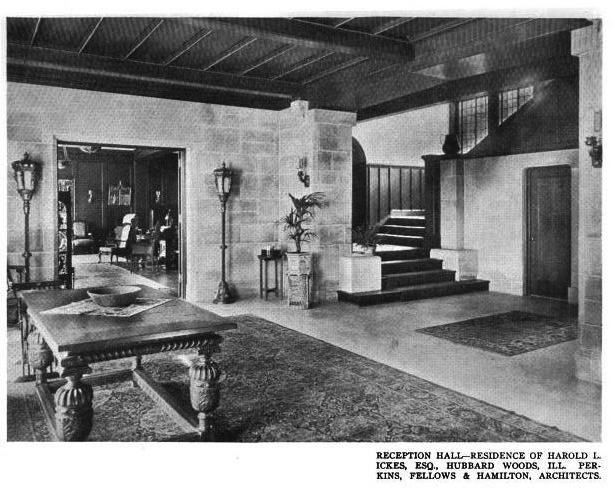 Click HERE for a recent brochure from when the house was for sale with a lot of color photographs. Click HERE to see the Ickes residence on google earth and HERE on bing. 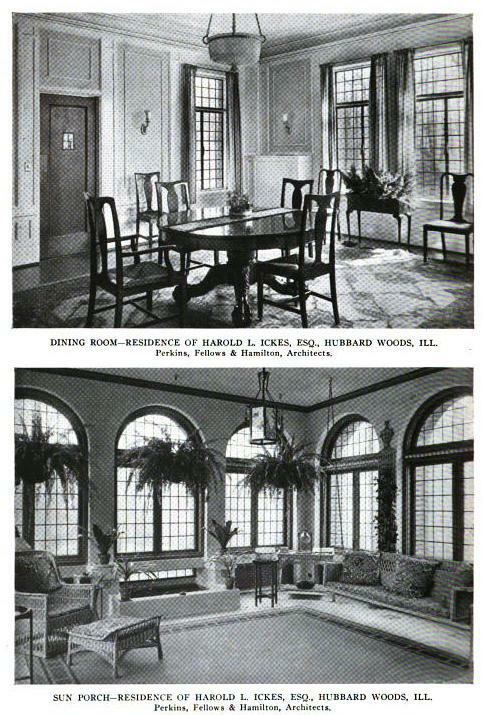 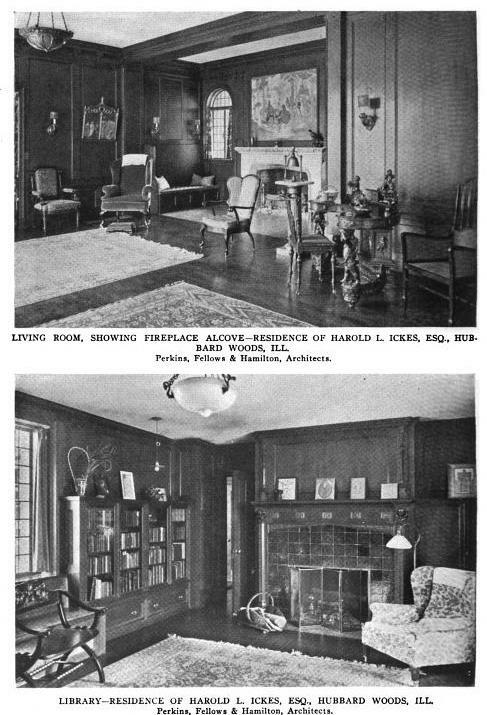 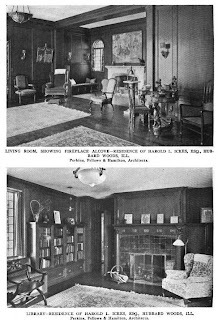 Photos from Architectural Record, 1918. 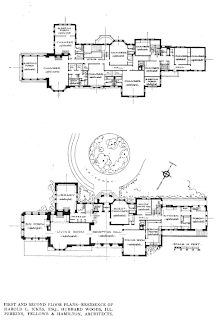 You seem to skew these posts towards residences where you can provide floor plans - thanks.